The brighter side of the moon.. | Yet another journey of a woman .. The brighter side of the moon.. Yet another journey of a woman ..
HRT – A look under the hood. Milestones in my life .. I was going to name it differently, but then last min when I was writing the title, I remembered that the pursuits in our lives don’t just end, they just go on and on and on, until the day we die. So what am I pursuing this year ? As I start to remember 2018, it was a good year, with so many things that happened, great things, good things, and also not so good things. I made such amazing memories in 2018, great achievements, and I’m grateful for all the ups and downs of 2018. But I did it all alone, which isn’t bad nor sad. I’ve been reading about the stages of life, the first stage where we try to figure out who we are, what’s our purpose in life, and kind of place for ourselves where can call home, and by home I don’t mean place of dwelling, the word home for me is much more profound than just a place to sleep in at night. The second stage is all about how can I give away my life more in a meaningful way, time is bound to pass by, and it’s not coming back, and the accident I had in 2018 made me pause and think, if I died that day, what legacy would I have left behind ? what kind of value did my life and actions added to the world ? what’s my contribution in life ? 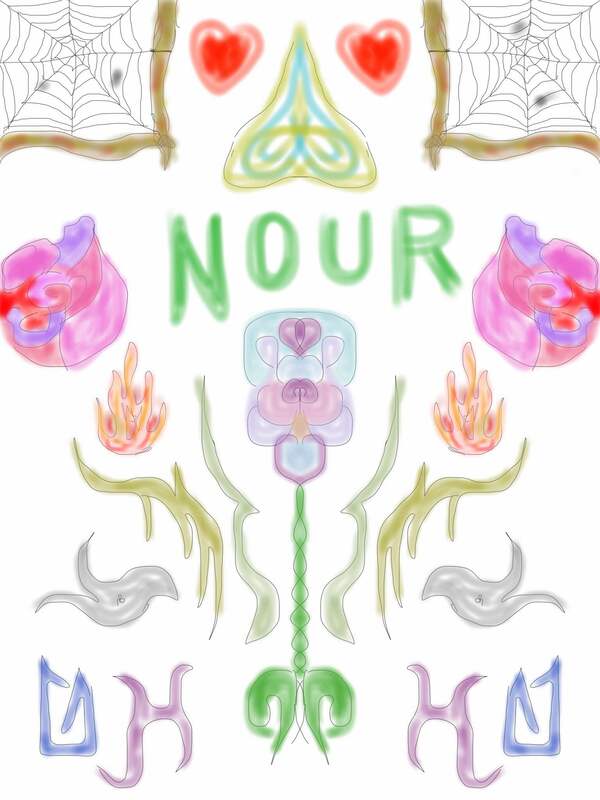 did I live by the values of my name (Nour means light in case you don’t know)? So I want to be able to spend my prime years doing something meaningful, something that contributes positively to the lives of others, even something as simple as praying for them, helping them find their way, or just being there a good friend who’s able to listen, truly listen. The third stage which we’ll have to go through, death. I’m still trying to wrap my head around stage two, hence I don’t have much to say about this third stage, but it’s there, it’s the great unknown, no one ever died and came back to tell the story !!! The theme throughout the past few years revolved around finding home, and I think I’m here. The next few years I believe will start revolving around how to live a more meaningful life. And I bet the first step to living a meaningful life is to have more profound connections with people. Instead of the many ‘Me’s that I achieved in 2018, I was start saying ‘We’. Not necessarily a romantic partner (though it would be lush), but a companion throughout life, maybe a group of like-minded people where can keep thinking together, doing things together that makes life better. In 2018, I stated considering getting a mortgage, but with Brexit looming on the horizon, there’s a lot of uncertainty, which means I’ll have to put my plans for both MBA and mortgage for wee bit later, maybe mid 2019 for a mortgage ? In 2018, I learned a lot about me, I had a lot of me time, which was exactly what I needed. In 2018, I learned to enjoy the company of a good book, and it’s fascinating !! And this is something I’d like to capitalize on in 2019. What a year !! 2018 has been super eventful, fruitful, and by all means remarkable. It was the year of pursuit, pursuit of happiness, success, connections, spirtuality, sustainability, and love. Where shall I start ? Early 2018, I was being headhunted by a a tech giant, for a tech leadership position, I had to say no to them because I was still trying to focus on myself post-op and post transition, and being kind to myself, I didn’t want to overwhelm myself with the stresses of a new job, relocation, etc. But that headhunting gave me a prespective which I always took forgranted, my true worth and value in the industry (more on that later), and I started talking to my boss that I want to pursue a more fulfilling career. By March 2018, I started to seek romantic relationships, following breaking up with my partener (for reasons not related to my transtion), that didn’t work out well, BUT I learned a lot about myself, and what’s good for me what’s not. By April, I was assigned the role of Trans* Advisor within Vodafone’s LGBT+ Friends network in the UK, which is amazing, and means that I can drive (ot at least influence) more long-sought changes in the business and the workplace regarding trans inclusion. I went on to speak across different forums (national and international) about trans inclusion, driving cultural changes, and my personal story. I also went to few prides this year, London, Prague (I drove to there from home and back – crazy I know), Brighton, and Lincoln. But 2018 wasn’t all happy, fluffy and dandy, I had a huge financial setback when I was forced to move out at very short notice, and I didn’t have the financial means to support this move. I was new at a new role (more on that later on) and it was very demanding at the beginning, and to top it all up, I had a major accident where my car was a total loss. I really loved this car SOOO much, she was very dear to me, but she saved me well, and I walked out of that accident with nothing but a broken nail, and bump on the head !! No injuries whatsoever. All these things happened within the course of 4 weeks, so it took me quite a while to be able to recover from that, and I’m going to still pay off the loan I took till August 2019. This accident made me realize that I life too short to waste, and too fragile. And made me realize that I could have passed away with no one knowing anything at all. I learned from that accident few lessons that I cannot unlearn. But it also helped me realize how much I was loved by few people, and for them I’m thankful, and eternally grateful. So I moved out, and for the 1st time since forever (literally forever) I’m living on my own, in a place for my own, not shared with anyone. J would walk in as soon as I open the door, mews at me for food, and them comes to sit on lap for a cuddle and a bit of petting, and then goes to his special corner near the hot water tank, and sleeps, and at night J would come and sleep next to me !!! Anyhow, In terms of career progression, the headhunt made more aware of my strengthes and value in the business and the IT industry in general. So after quite few heated conversations with my boss, and going few levels above him, I managed to move to another role, way more challenging, hands-on, and we’re literally doing things that has never been attempted on this planet before, which is so freakin’ AWESOME 😀 😀 We’re even planning to apply for our own patents !!!! SWEEEEEET !!! I finally managed to start some letters exchanges with my daughters, and I have to say, it’s heart-wrenching, no matter how much, and how hard you try to express your feeling through words, it’s never enough. There will always be the longing, the missing, the fact that I’m not able to see, hear, and touch my girls and hold them in my arms. The most painful point was when I went shopping for them, and realized how much taller the must have grown 😦 And I wasn’t there to see it, and I can’t even talk to them on the phone. But on the bright side, they’re doing great !!! The eldest won 3rd place in 500m free-style swimming compitition !!! WOW, I KNOW !!! The younger, oh dear oh dear, what a diva !!! She’s all into dancing, singing, and drawing !!! I long and pray for the day I can see them and look them in the eye and tell them how much I love them. Speaking of prayers, One of the things that I wanted to pursue for the last couple of years is spirtuality, and my relation to God. And if I didn’t achieve anything this year, this is by far the most important thing I believe I ever achieved this year. I believe I finally found my faith, and that helped my reconsile my past, my faith, my identity, my struggles, and also my future. And a fortnight ago I had sort of ravalation, a moment of pure peace and trenquility, after which I was able to find forgiveness, forgiveness for everyone who ever hurt me in the past. All those who thought wrong or less of me, those who disrespected me, those who caused me harm, those who looked at me with utter desdain, those who took away from me the right to see and talk to my kids, those who threatened to kill me, those who spat on me, those who promsied, vowed, and tried to turn my life into living hell. I forgive them all, unconditionally. I found in myself a capacity to love and to forgive beyond my imagination. I say it’s a true blessing. 2018 has been a true blessing, in so many ways despite the pain (emotional, physical, and financial), it was a smashing success in so many aspects, I can write pages upon pages on what happened throughout 2018, but those were the main highlights, the highlights that will shape how 2019 will look like. Joining Vodafone in 2013 gave me hope in my own being, capacity, and a launchpad to accept myself. Embarcing myself back in 2014 allowed me to be whoever I am. Transitioning (2015-2017) gave my identity a face and a sound. Moving to the UK (2015) gave me hope, acceptance, safety, and a chance to live. And in 2018, my faith crowned it all by reconciling everything with peace, love, and forgiveness. Over the past 3 months I learned much more than I learned over 3 years !! I learned that anyone can be judgmental, controlling, listening-not-really-listening apathetic person, awaiting for praise, and distant (opposite to being present). It’s our personal insecurities that are being projected onto other people when we come to a conclusion. I learned that conclusion is what we call the state when we’re tired of listening and thinking. Sometimes listening diagnostically (with the purpose to find a solution) is important, but equally it can be damaging if the situation doesn’t call for it. I learned that being authentic doesn’t mean being out all the time, they’re not synonyms !!! Authenticity is all about self-awareness, balanced processing, relational transparency, and ethics and morals. Think of it as the tree of authenticity ,where the seeds of self-awareness are planted in the earth of ethics and morals, watered by the water of balanced processing, protected by relational transparency. And what are the fruits of that tree ?? Empathy, having kind eyes, rejecting trait models, and being consistently true to yourself. I can go on writing pages up on pages on what I think and feel now. But I think I just need to go to sleep. By the way, I have loads of other pages that I keep on writing privately, because I don’t feel very comfortable sharing such private moments and deep feelings, but may be just may be I’ll start blogging more publicly about being an LGBT+ individual and leader in the workplace and in life in general. And help spread some light. It’s a tradition which I hate to break; on the first day of every year, I write about my overall hopes and fears, what I aim to accomplish throughout the year, what would bring me joy and what would bring me tears. I believe that all I have to do to give my best and wait for the results. So this year I’ll be pursuing a shift in my career towards more business aspect, more efficient, more impactful, and more connected. 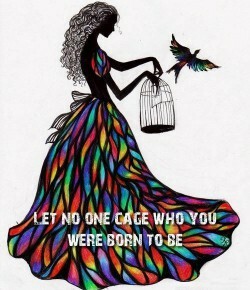 I’ll be pursuing an investment in my own being, my knowledge, skills, peace of mind, and above all, my own wellbeing. I’ll try to keep trying to reach out to my kids. I won’t give up on that as long as I breathe. And just like every year, it will not come without challenges. Believe it or not, having a car had a negative impact on my peace of mind !! I used to spend that quality me time on the bus, on the train, reading, listening to music, walking between trees. Now that I started to rely more on driving, this ‘me’ time is fading away slowly, so I need to reintroduce this some how. During September and November I had two major surgeries, after which I closed the page of my transition, however this came with a high toll on my energy levels, being almost continuously ill or using pain killers for 3 months (and counting) comes with a hefty price tag at the expense of your own sanity and will to do things. As we moved offices during last August/September, I was given a really nice spot, however that made me lazy going around and about meeting other colleagues, so I need to break this bad habit and get a** moving and catch up with people over coffee or have face to face meetings, etc, so I need to reconnect better, and be much more active. Oh, and realistically speaking, I don’t think I’ll be starting my MBA this year. 2017 was the year where I bloomed and shined brightest (so far). 2018; you’ll be the year of pursuing a sustainable growth, sustainable success, and a future place under the sun. This is the time of the year when I feel I need to look back and see what has been going on, and look forward to what I can do better. The year of the bloom (aka 2017) has been a truly remarkable year for me, during which I started driving in the UK (I have a car named Jesse), moved house to a smaller town, moved jobs (premanant role instead of contracting), gained few friends, bonded strongly with a very few, reconnected to old ones, lost a few, and made few enemies as well !! Both stirred lots of reactions; positive, negative. But by far, this is the the worst I got from someone who was sacked shortly after I left VF Egypt after a severe misconduct from his side towards his line manager !! But mostly and most remarkably is that I think I’m done with my transition; a multi year project which started early 2014, and gained momentum over the months and years. And now I believe I’m done. my 2nd ex, and how resentful I am for every moment I lived with her, the amount of love I had for her, the level of my stupidity, OMG !! my previous therapist in Egypt, and how i trusted her, and let her partially take control over some aspects of my life !! If either of those was still in my life, I wouldn’t have even scratched the surface of what I accomplished to date. Both promoted fear, thrived on controling and manipulating. What I need to let go, is my sense of guilt that I let those into my life and ignoring the signs. What I need to let go, is my urge to write/talk to them telling them who wrong they were about me. But if there’s one thing that I learned, it’s that the only way to win over a narsassict, is not to engage at all !!! So the only way forward for me is to forgive myself, and to let go. Why there’re no posts ? I decided to take out all my posts from here as it seemed to have given some people more insight into my life than they should ever have. I seem to have given too much details about me in it that made it very easy for some to identify me pretty easily. Not worried about that tbh. I just don’t want them to have the privilege of knowing more about me and giving them some gossip material. That’s all. I’ll probably rename the blog, or host it somewhere else, depends on how I feel about it. Or may be do totally nothing about it and say f*** it !!! A sketch by Chaya ..